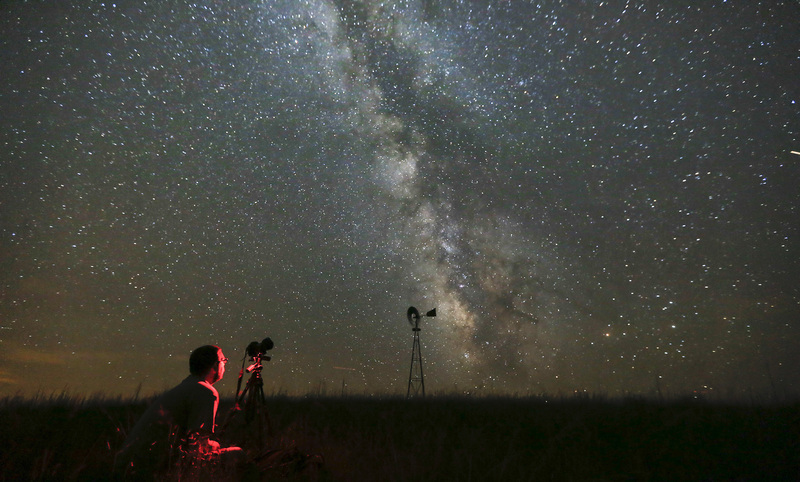 Freelance photographer Lane Hickenbottom photographs the Milky Way galaxy on a moonless night from a cattle pasture in the Sand Hills of Nebraska on Wednesday night. The photo was shot with a 20 second exposure at ISO 5000. The extended exposure makes the Milky Way even more visible than it is to the naked eye.